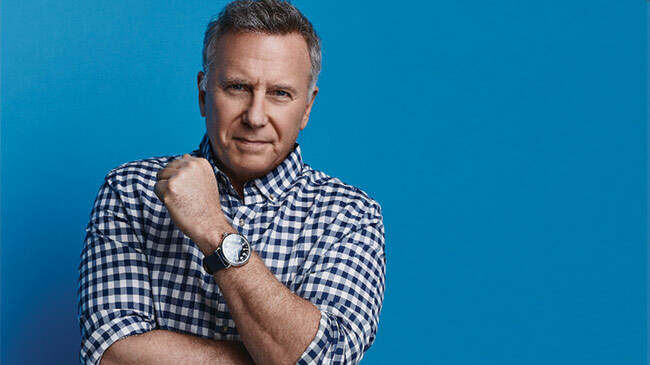 Comedian, actor, television writer, author and musician, Paul Reiser has spent the last 30+ years acting in Oscar and Emmy award-winning movies and TV shows. He was voted one of Comedy Central’s “Top 100 Comedians of All Time.” Don’t miss a night of stand-up from one of the best humorists around! Reiser is well-known for his memorable character, Paul Buchman, in Mad About You. He co-created and starred in the critically acclaimed NBC series which garnered him Emmy, Golden Globe, American Comedy Award and Screen Actors Guild nominations for Best Actor in a Comedy Series. His successes include his book Couplehood, which sold over 2 million copies and reached the No. 1 spot on The New York Times best-seller list and Babyhood, his follow-up book that features his trademark humorous take on the adventures of being a first-time father, which also made The New York Times best-seller list. Paul Reiser continues to add to his list of accomplishments. He recently joined the cast of Netflix’s Stranger Things and can be seen in Amazon’s Red Oaks and Amazon’s anticipated The Romanoffs. Auto-Owners Insurance Performing Arts At City Opera House is made possible in part by our generous sponsors and support from Michigan Council for Arts and Cultural Affairs and the National Endowment for the Arts. Join COH! Receive pre-sale, on sale and other announcements about this show through our eClub.